troversial supplement shark cartilage may stifle cartilage deterioration. Reducing cartilage breakdown. Shark cartilage has been shown to promote anti-inflammatory, anti-angiogenic, and antioxidant effects. Improving cartilage growth. Shark cartilage may enhance the quality of cartilage. p>Self-explanatory in its name, shark cartilage is a preparation of cartilage from sharks that consists of 40% protein, 5 – 20% glycosaminoglycans (mostly chondroitin), 25% calcium salts, and various other trace elements, nutrients, and minerals. The application of animal cartilage to health and medicine was reportedly first suggested by a Canadian scientist in the mid-20th century, although the relatively new supplement did not really make much headway until the 1970s when research uncovered its anti-inflammatory properties and potential to stimulate the immune system. Did you know? In 2002, the U.S. Food and Drug Administration (FDA) granted orphan drug status to AE-941, the most popular shark cartilage agent. And yet shark cartilage has also been shown to support inflammatory activity by inducing the production of the inflammatory cytokines tumor necrosis factor-alpha (TNF-α) and interferon-gamma (IFN-γ).5 In what instances the contradictory activity takes place has yet to be determined. 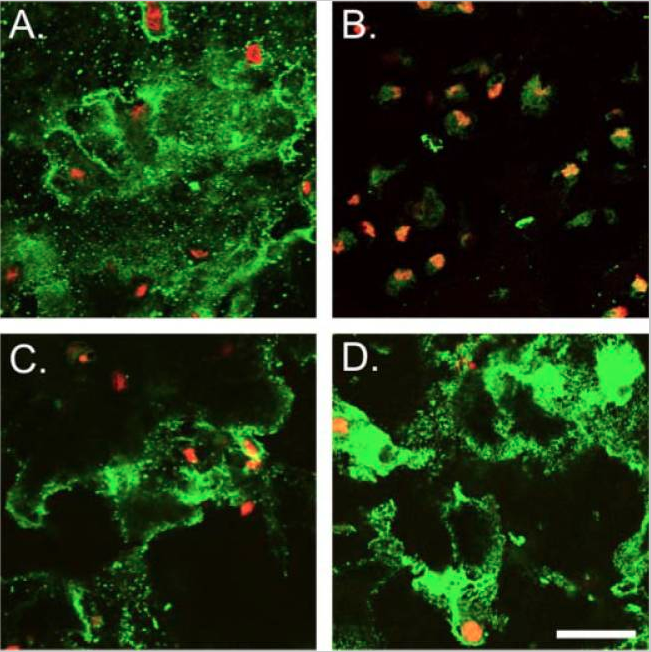 Shark cartilage, TMAO, promotes the growth of collagen type II (A, B) and type IV (C, D) in cartilage. 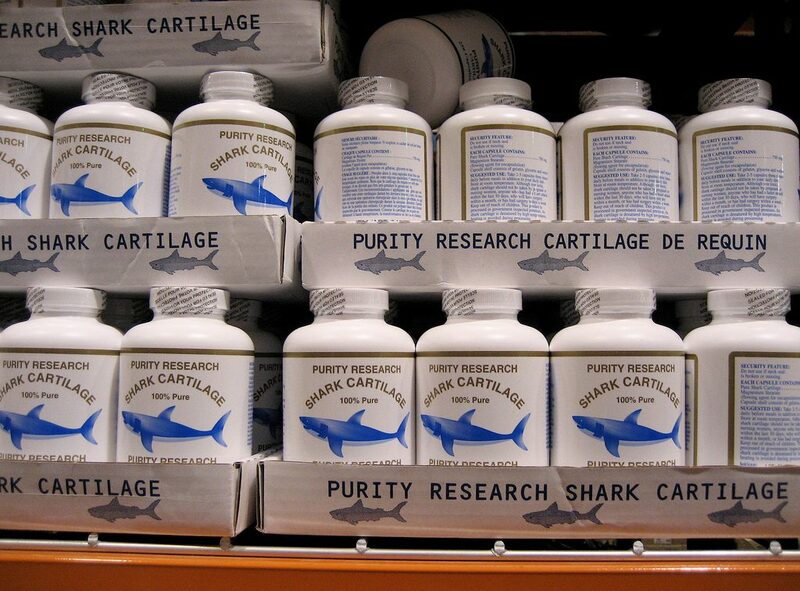 The potential benefits of pure shark cartilage on joint health are many — including promoting anti-inflammatory, anti-edemic, anti-angiogenic, and analgesic activity — but research has yet to demonstrate these effects in clinical trials. 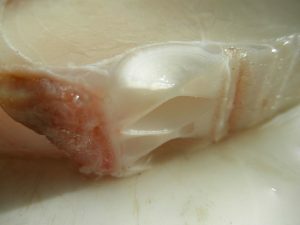 Though a considerable amount of research has investigated the benefits of shark cartilage, few reputable studies have focused on its immediate impact on healthy joints. Collectively, its bioactivity has been suggested to help reduce the symptoms of joint conditions such as osteoarthritis and osteoporosis, as well as everyday or sports injuries affecting the bone and joints. One of the curious side effects of supplementing with shark cartilage is that it elevates calcium levels and so should not be used by people at risk of hypercalcemia. Many animal studies have shown the ability of shark cartilage to mitigate various symptoms connected to joint conditions but only in isolation.12 But little research has demonstrated the actual impact of shark cartilage on joint health. In this controlled investigation, rats with rheumatoid arthritis were given 1 of 2 types of shark cartilage polysaccharides (SCP), type 1 and type 2, for 24 days. X-ray revealed that the shark cartilage groups had more normal joint alignment and a smoother joint surface compared to the control. Shark cartilage also resulted in reduce paw swelling and lower levels of the inflammatory markers IL-6 and IL-12. In this investigation, polar shark cartilage was given to rabbits with allergic arthritis, and it was found to facilitate overall improvements in the affected joints. pt;">Although many clinical studies on shark cartilage have been conducted, none of them have successfully examined its effect directly on joint health. has yet to identify ideal shark cartilage doses. Typical shark cartilage supplements range from daily servings of 750 – 4500 mg.
"font-size: 14pt;">Shark cartilage 750 – 4500 mg for joint health. Shark cartilage may benefit joint health but research is early. In theory, shark cartilage seems to be suited to reducing symptoms of detrimental joint conditions, especially arthritis, but limited research and the few adverse side effects call for special care to be taken for its use. Try a low 750 mg dose of shark cartilage. It may be best to start with a low daily 750 mg dose of shark cartilage until clinical research finds optimum dosage for joint health.